Conversation topics and exercises with BE GOING TO. 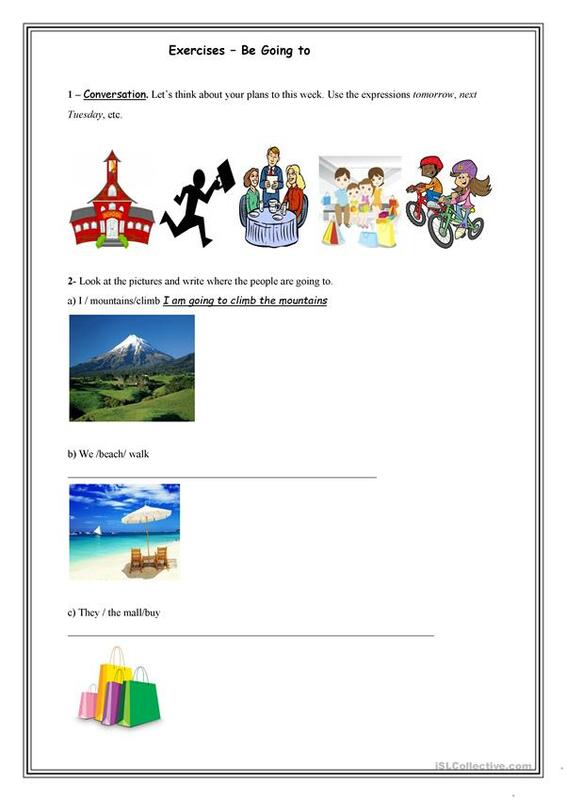 This activity will help the beginners to develop the dialogue and improve the grammar part with affirmative, negative and interrogative sentences. 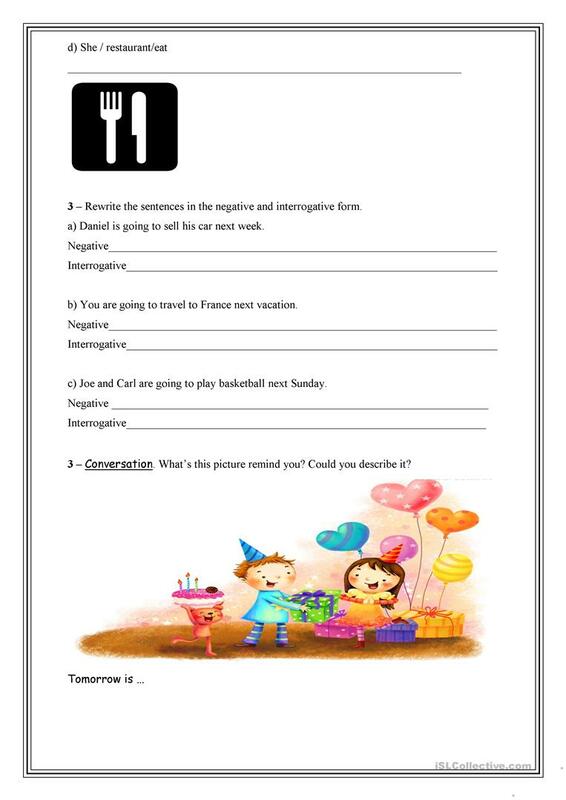 This downloadable printable was created for elementary school students and adults at Beginner (pre-A1) level. It is great for consolidating Future tenses in English, and is excellent for enhancing your learners' Speaking and Reading skills. It centers around the theme of Culture, intercultural communication, cross-cultural communication. Marilin02 is from/lives in Brazil and has been a member of iSLCollective since 2012-09-25 19:45:11. Marilin02 last logged in on 2016-05-24 21:32:15, and has shared 1 resources on iSLCollective so far.